Architects and designers all over the world are choosing luxurious Corian® Quartz to push the boundaries of traditional design and bring their designs to life. Architects and designers value Corian® Quartz as a material that can transform their most ambitious visions into reality. Natural beauty, solid craftsmanship, and lasting durability – that’s what Corian® Quartz can bring to your design. Allow your creativity to shine and make an impression that lasts a lifetime. We are committed to collaborating with architects and designers to provide the design community with dynamic, sustainable solutions for contemporary design. Sourced from quartz, the colors of Corian® Quartz achieve an improbable harmony between the durability of rock and the subtle interplay of light and natural crystal. Make a statement with pattern and texture from Corian® Quartz. 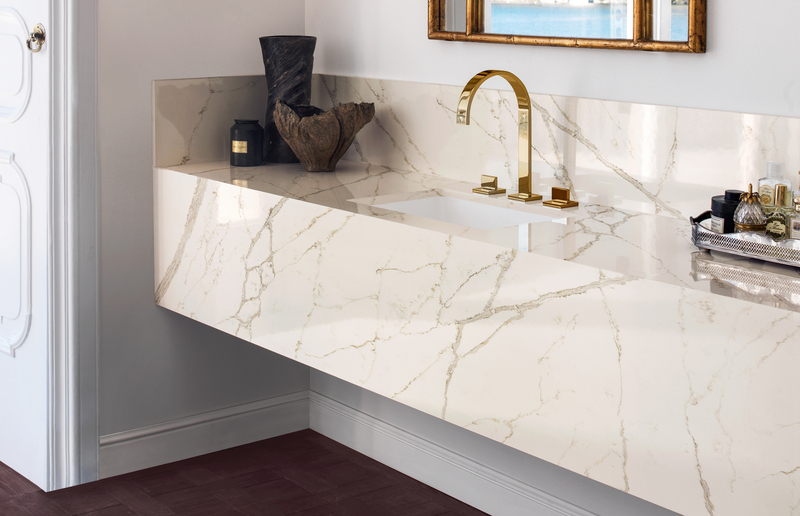 Our marble and stone aesthetics complement appliances, cabinetry, and other materials, and allow for accessories that contain punches of bold colors to bring together your design. The array of uniquely patterned Corian® Quartz colors were made to enhance the design and coordinate with current elements that create a perfect statement space. In the field of design, technology integration is a necessity. Corian® Quartz is the perfect material to pair with technological advances that spur design creativity and excellence. No material is an island and it's often the combination of materials that distinguishes a memorable design. Corian® Quartz works with a wide range of other materials — both visually and practically. It is a natural partner for metal, wood, glass, and especially Corian® Solid Surfaces, and is as comfortable in the background of your design as it is commanding in the spotlight.